Setup the Main Menu via Appearance > Customize > Menus. 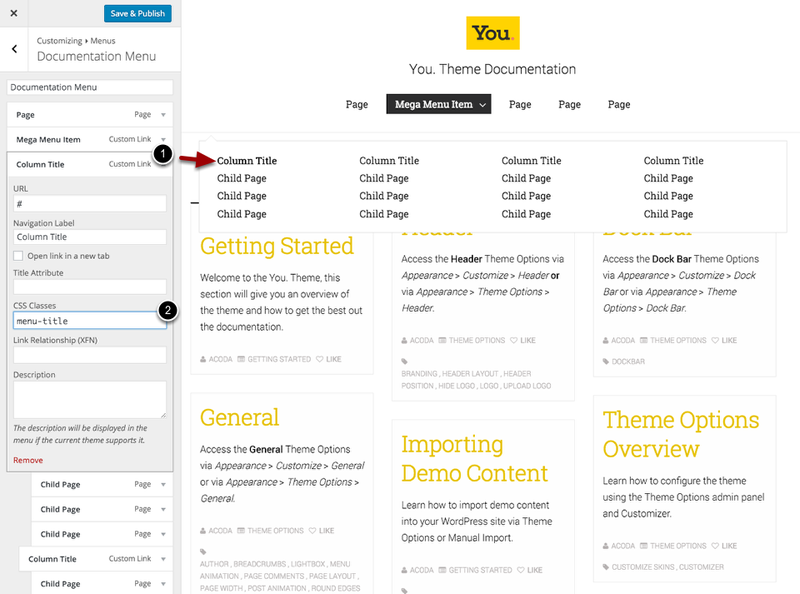 To control the position of the Menu, see the Header Theme Options. 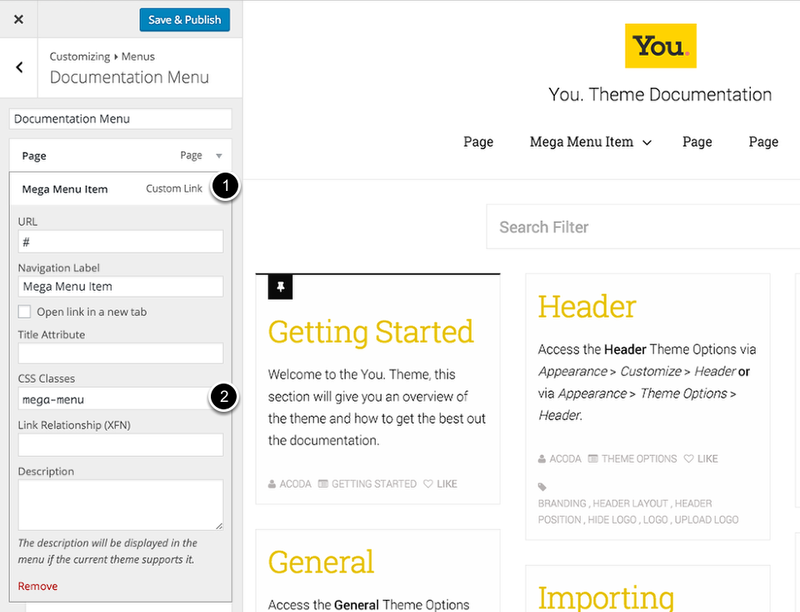 Watch the video tutorial for how to create a Menu and Mega Menu here. 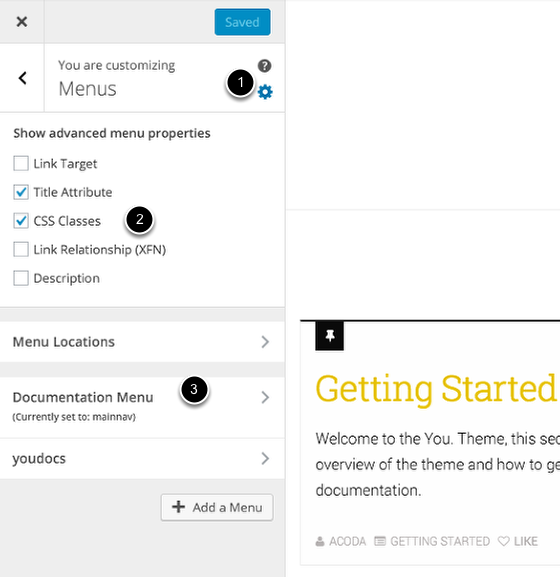 Use this option to assign a Menu you have created to a Location within the theme. Click the Menu name to edit the menu. Choose what Menu item you want to add. To setup a Mega Menu is simple. Follow the steps below to create one. If you are unsure how to create a new menu see the Add a Menu section above. Next we first must setup the menu to be suitable for a Mega Menu. See the Diagram above to help you setup your menu. The 3rd Level ( drag right to indent ) will display directly under the column set by the level above. Now we have the Menu setup suitable for a Mega Menu, we need to activate the Mega Menu. Follow these steps to activate the Mega Menu. 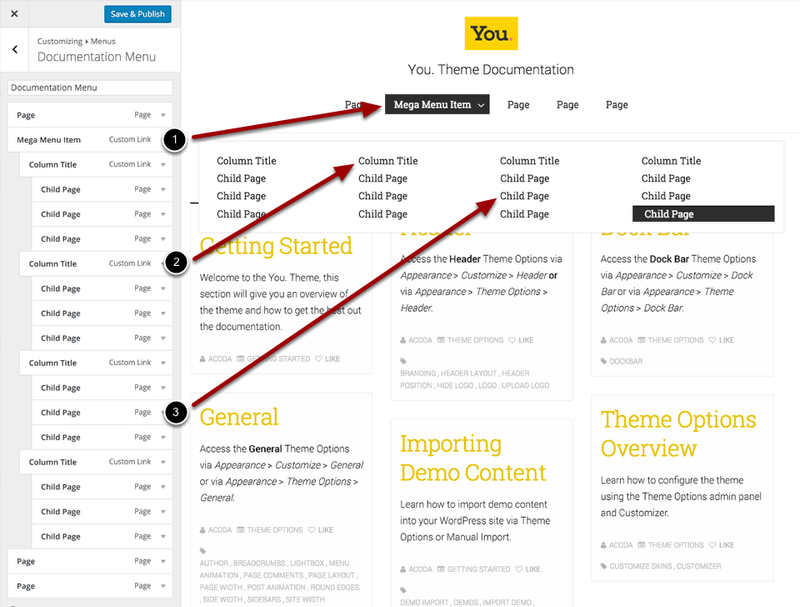 The final step is choosing how you wish to display the Column Titles, you can follow these steps to make the Column Title appear bold and it will disable the link function of that menu item.